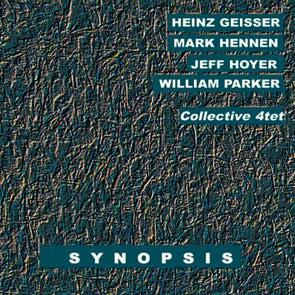 The fourth CD by the Collective 4tet on Leo Records. As Ben Watson writes in his notes, the reviewers of the previous CDs all sound a bit stunned, as if it is slightly incredible that Free Jazz without genuflection to marketing tags Neo-Classicism, Post-Rock, Minimalism, World Music, Ambient, Noise, Ecstatic, Nordic Cool, Berlin Reductionism, New London Silence etc. etc can still sound so vigorous and coherent, open and passionate, so "Now." This music can be difficult to listen to, not because it's the sound of one man screeching in your face, but because it's replete with musical ideas, and each member of the quartet is discussing them at the same time.